In your work day, are you focusing on the right things? If you want to get the most out of your work day, it’s not necessarily about digging in and doing more. Like you’ve got time for that?! In fact, for most of us, it’s about doing less or doing things differently in our daily work routine. 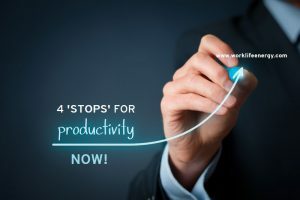 Hey, Michelle Cederberg here with your Weekly Work-Life Recharge sharing three things you need to stop doing right now to truly amp up daily productivity. Watch the short video below, or read the blog that follows. First, STOP using a.m. time for low priority, low focus tasks like checking email or organizing your desk. If you want to be super productive, do what I call First Thing Focus. Before you do anything else, take 5-10 minutes (heck 2 minutes will do) to identify 1-3 tasks that you absolutely want to crush at work today. Write the down and then start on the first one. Do this before you’ve allowed email to hijack your attention. This simple strategy will allow you to maintain control of your to do list, and help you feel that sense of accomplishment right out of the gates. Need some more convincing? Watch video 4 – Say NO to email (and what do to instead). Second, STOP multitasking your way through the day. I know you’ve got lots to do, but you won’t do your best work if you’re trying to tackle 10 things at once. Not only do you waste valuable time when you switch from task to task, but creativity and focus go down the drain when you’re distracted and disorganized. Instead, do the First Thing Focus I just mentioned, and then block off at least 30 minutes to focus on one of those high-priority tasks. Turn off devices, put a ‘do not disturb’ sign on your door or cubicle, set a timer if you have to… and then dig in and get it done. And then give yourself one more focused time slot in the day to do the same thing. Practice doing one thing at a time, and see just how much more productive you can be. Third, (and I know I’ve said this before), STOP skipping your breaks! Seriously. Long stints of ‘nose-to-the-grindstone’ makes your body stiff and lethargic, and your mind foggy and ineffective. What kind of work do you think you’re generating under those conditions? Your brain is massively energy-hungry, and it needs intermittent rest to operate at optimum. It’s how your body works. Listen to it, and then watch video 19 – Supercharge your Productivity – for the fascinating science behind why! I guarantee that if you take quality DEVICE-FREE breaks throughout your day – where you get outside, move a bit, refuel, and connect with people you like – you’ll come back to the task at hand and knock it out of the park. For more reasons why you should stop skipping your freakin’ break … take a break and watch video 20 – Take Your Freakin’ Break. Seriously! And here’s a bonus tip: STOP saying YES to the wrong things. You’ve only got so many hours in a day, and even fewer of those hours where you’re operating at a high-level, so every moment you waste on tasks that don’t serve your personal and professional goals, will move you further away from achieving them. If it’s not in your job description, but you know you can do a good job. If someone has asked a ‘favour’ and you don’t want to say no. If you’re just doing it because no one else will, or because you always have, or because it hasn’t occurred to you that you have choice…make a choice. Set your personal and professional goals and use them as a guideline for what you say yes to. You’ll move forward with clarity and a renewed energy to focus on what really matters to you. And if you have a tough time saying NO, watch video 32 – Get to Know NO, for ways to get better at it. 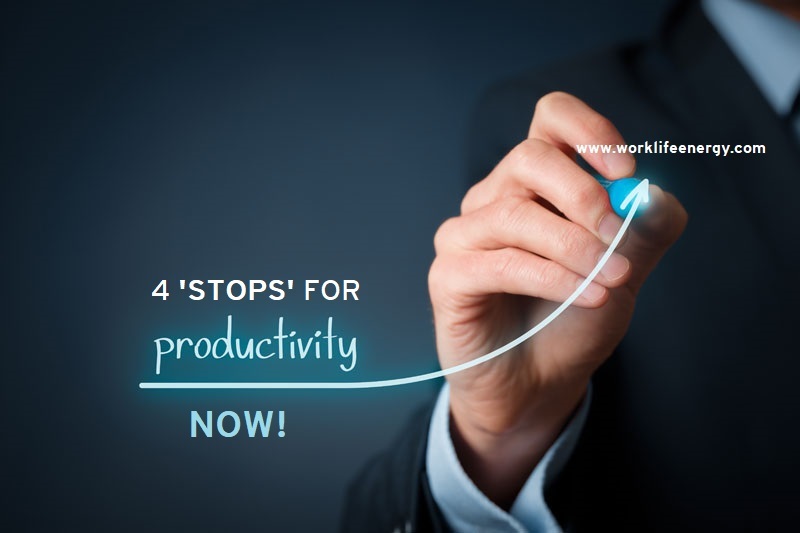 Four things you need to STOP doing right now to truly amp up daily productivity. Give them a try. What have you got to lose except a whole bunch of poorly used time and energy. And hey, if you’ve got a work day productivity hack you want to share, post it below or send me a message at worklifeenergy.com. Plus, check out the video links I suggested, and visit Work-Life TV to subscribe, comment and share! 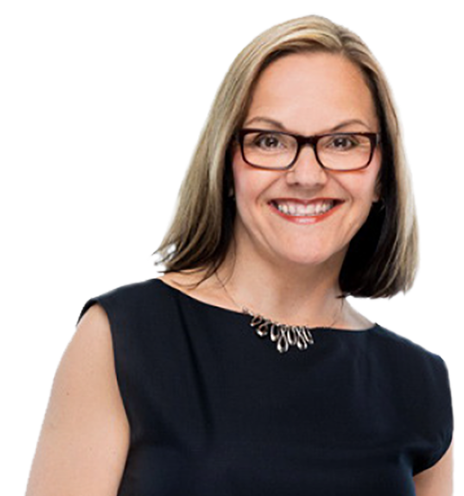 Until next time I’m Michelle Cederberg helping you transform your work and life, one productivity recharge at a time.